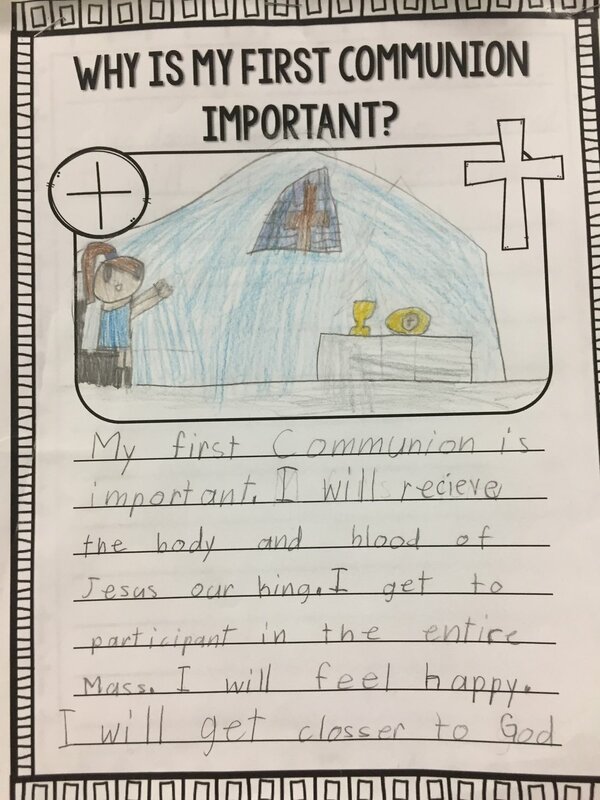 On Sunday April, 29th, I received my First Communion. My mom, dad, friends and teacher were there. I wore a white gown. Father Paul was the priest. I received the Eucharist and it was great. Then, we had a big party in the gym. It was a fabulous celebration. I felt so blessed. Newer PostCelebrating a "New" School and a New School Year!